Hey, before you get upset, we encourage you to leave comments about stupid sh*t that doctors say too! Because we know that even though patients say some silly things, we’re all capable! Also, try and keep a sense of humor about all of this. Things patients say: I’m allergic to that pain medication – it makes me nauseated. All pain medication has the potential of causing nausea on an empty stomach. That’s a side effect, not an allergy. This isn’t just semantics. It’s an important difference. An allergy can be a severe adverse reaction to a medication, like anaphylaxis, that could lead to death. Will I have a scar after my operation? Yes, everyone does. Silicone scar cream can help though. Will the scar disappear after it heals? No. It will fade but not disappear. Even if it’s a plastic surgeon doing the sewing, it won’t magically disappear. Is this operation gonna hurt/be painful? Yes. We’re cutting your skin. But your doctor can help you manage it. Can I save money by not having an anesthesiologist during surgery? Of all the things to skimp on, why would you want to skimp on the one person that makes your pain go away?! And remember, you were the one concerned about pain after surgery in the previous bullet point! The only pain medication that works for me is oxycontin! Thank you for alerting us all to the fact that you may have an opioid problem. We’ll need to address this proactively to avoid postop issues and misunderstandings. 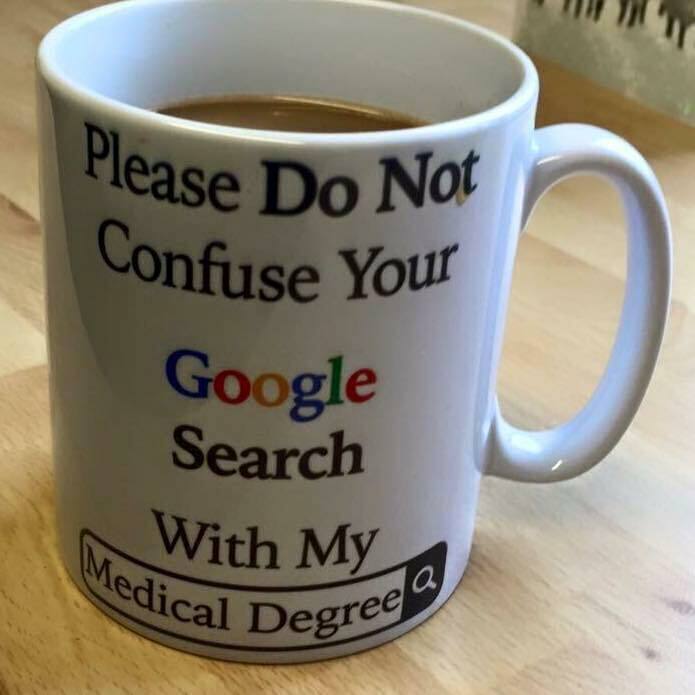 Don’t confuse your Google degree with our medical degree! If you’re a patient and you’re offended, take a deep breath and leave a comment below of stupid sh*t doctors say! This entry was posted in Opinion and tagged BuildMyBod Health Price Estimator, cosmetic surgery cost, High Deductible Health Plans, Plastic Surgery Pricing, Price Transparency by Dr. Jonathan Kaplan. Bookmark the permalink.